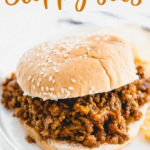 For an easy and family-friendly dinner skip the canned sauce and make these delicious homemade Slow Cooker Sloppy Joes! 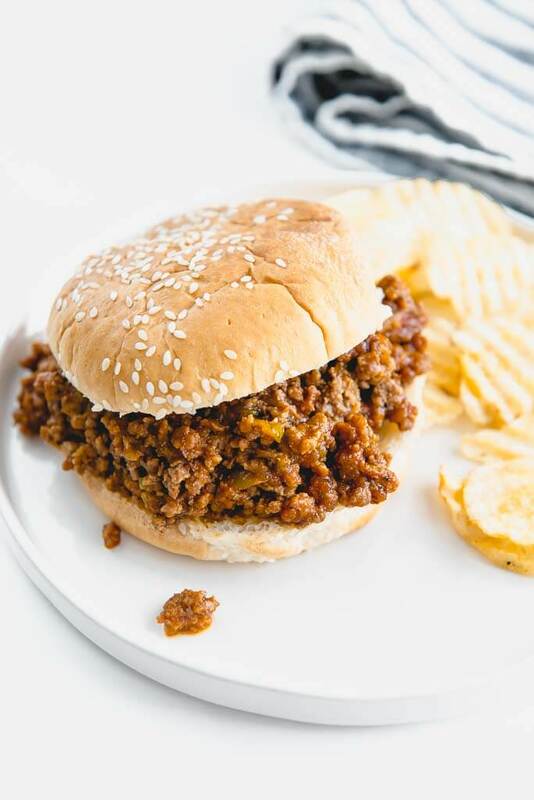 Why used canned stuff when you can customize your own sloppy joes full of veggies and delicious goodness?! 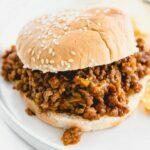 Your family will go nuts for these homemade Slow Cooker Sloppy Joes and you will love how easy they are to make. 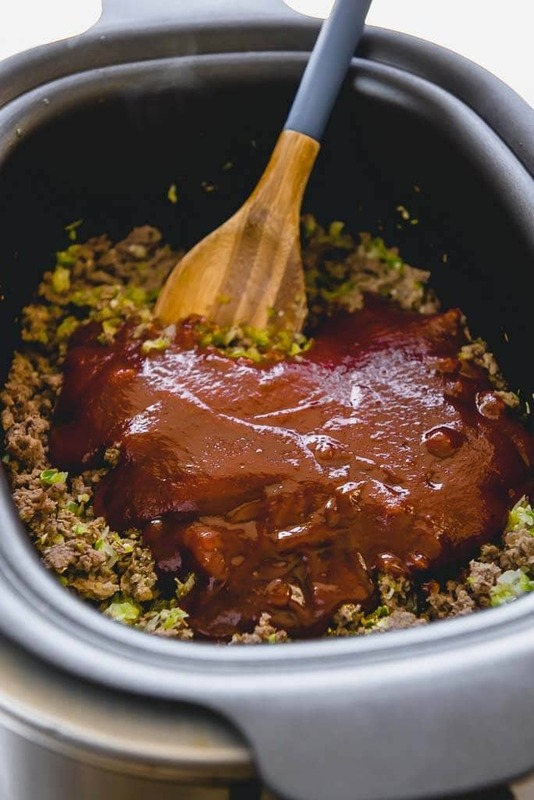 Simply brown up some ground beef with veggies and mix up a sweet and spicy homemade sauce and let it simmer away all day in your slow cooker. 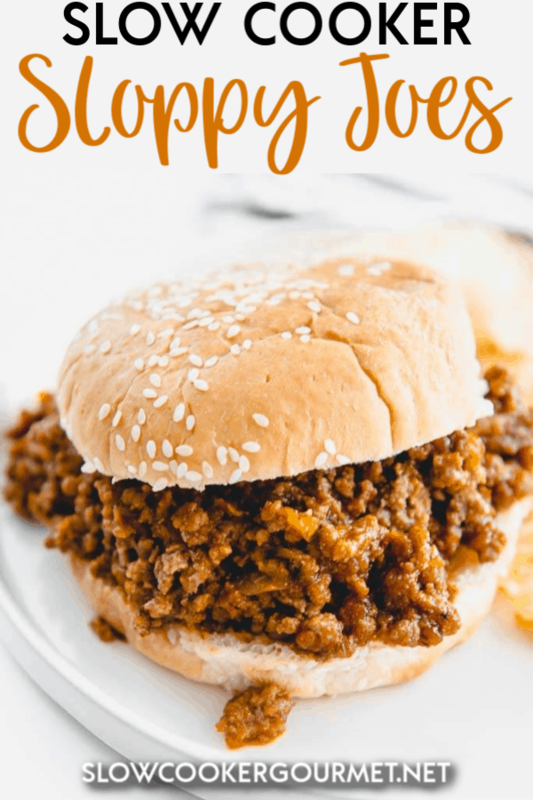 What’s in Sloppy Joe Sauce? 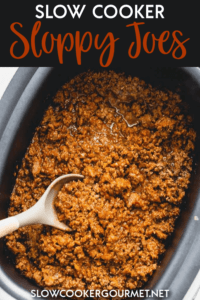 Sloppy Joe sauce is a tomato based sauce that can include a variety of spices and generally uses some sweetener like brown sugar. For my version of sloppy joes I wanted to add some fresh veggies like peppers, onions and garlic. even lentils to make it heartier! The one thing I decided to do was to use my mini chopper to get a very fine chop on the veggies so that they would blend into the meat a little better (and so that my kids would complain less). 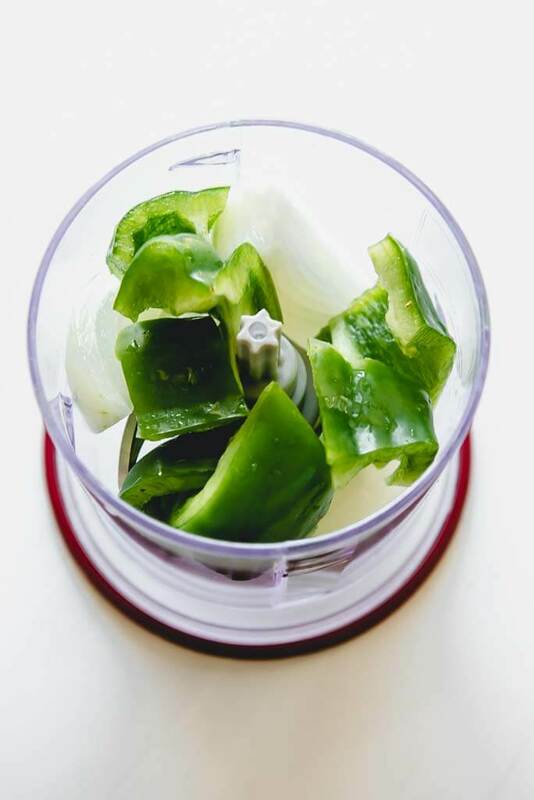 This is one of my favorite ways to make quick work of chopping veggies and changing things up a bit. If you are someone who is pressed for time on weeknights (who isn’t?!) 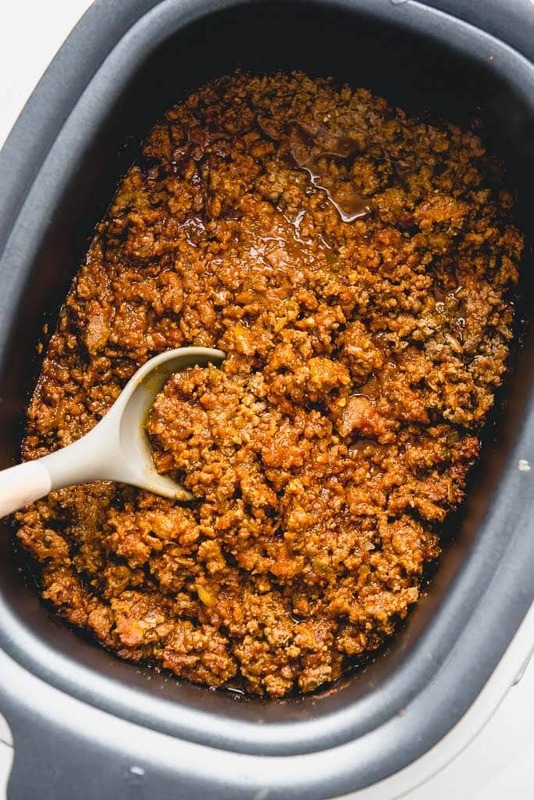 and you don’t mind cooking up a large batch of ground beef for your freezer, it would be a great timesaver in making this recipe and you could skip cooking the veggies and just make sure to leave them in the slow cooker a bit longer. This will work well if you’ve used the chopper since they won’t be in big or difficult to cook chunks. Otherwise, you will need to take a few minutes to brown up the beef and remove the excess fat or grease. 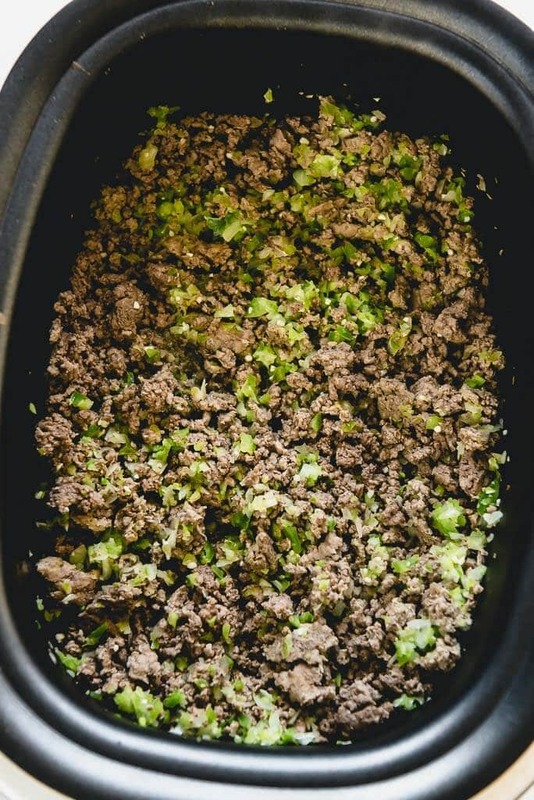 I usually use 96% lean ground beef for recipes like this and just avoid having that extra step. To save extra dishes, I always use my multi-cooker which lets me brown up the beef and slow cook all in the same pot. 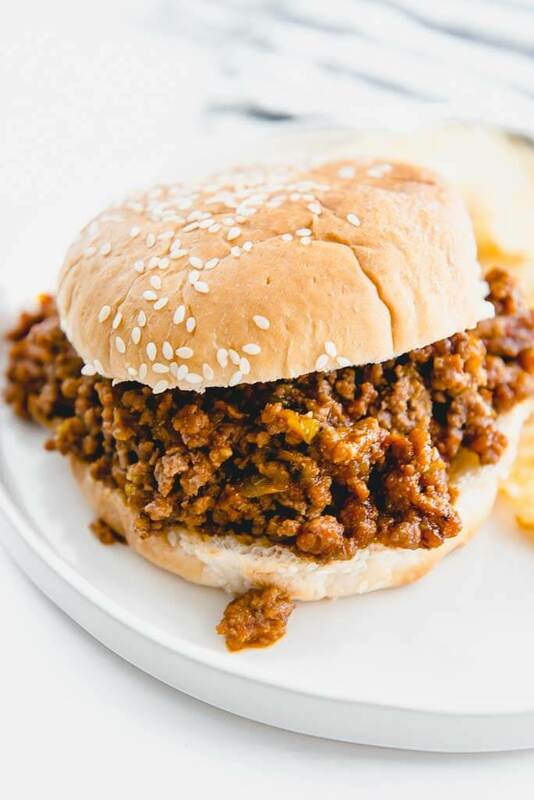 How do you make sloppy joes with tomato sauce? First, they will need a few more ingredients. Many recipes get more complicated with this but I’m going to give you guys a little shortcut. Many sauces call for brown sugar or honey or maple syrup along with seasonings and worcestershire sauce and more. We are going to go with a way more simple option that includes many of these things by using BBQ sauce. 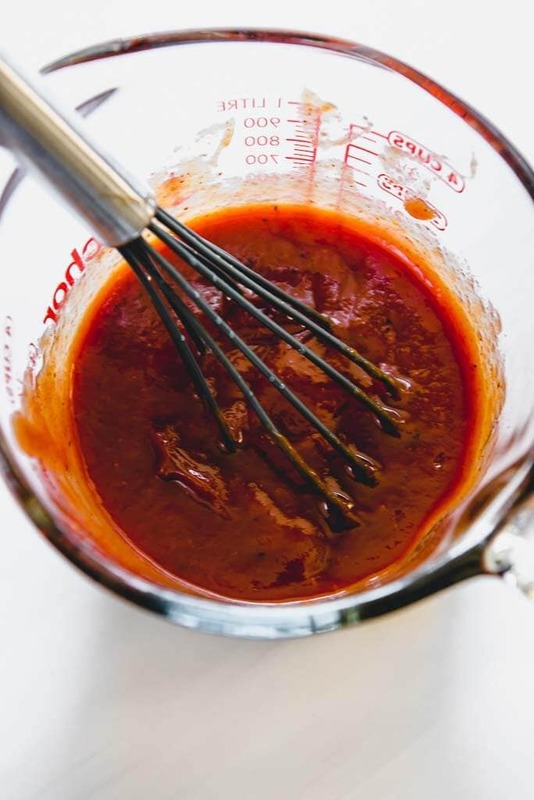 BBQ sauce comes in many flavors which will let you customize this recipe. I prefer a sauce with a little kick. Along with ketchup and tomato sauce it will round out the flavors. I also use a seasoning blend to make it all in one. If you are in a rush, you could obviously simmer this in a skillet and serve. But, for dinner that’s ready when you are or a great meal to serve a crowd, add them to the slow cooker to simmer all day is a time and stress saving option. 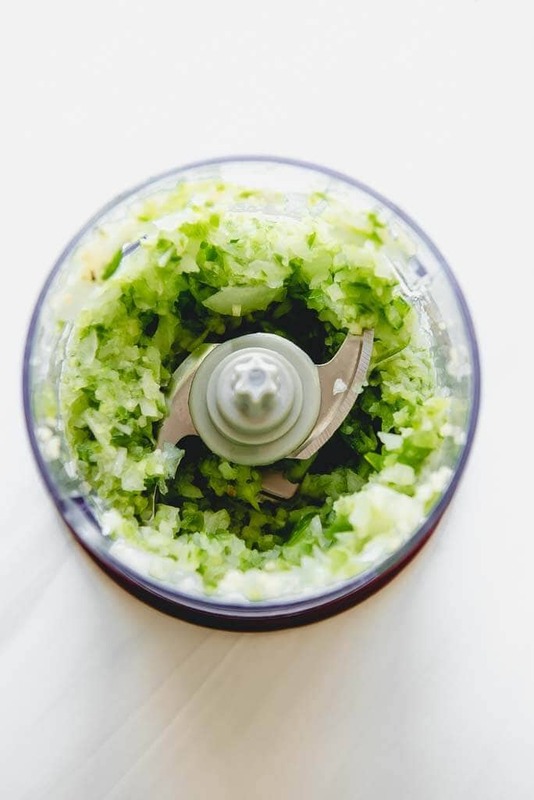 To create a fine chop on the veggies quickly and easily, my favorite tool is the Ninja Chopper! This was great! I did use ground turkey.. but the flavor was fantastic! I haven’t made sloppy joe’s in forever and it was delicious! Froze the leftovers and will probably use it to top baked potatoes. Highly recommend! !